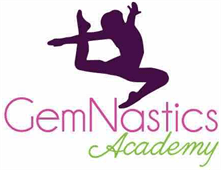 Welcome to GemNastics Academy LLC! Please complete the following registration form. ASSUMPTION OF RISK: I recognize that severe injuries, including permanent paralysis or death can occur in sports or activities involving height or motion, those activities including but not limited to gymnastics, tumbling, and trampoline. Being fully aware of these dangers, I hereby give consent for my child(ren) to participate in any and all GemNastics Academy LLC programs and activities and I ACCEPT ALL RISKS associated with such participation. RELEASE OF LIABILITY: In consideration for my or my child(ren)'s participation I hereby, for myself and my child(ren) and our respective heirs and successors, PROMISE NOT TO SUE and FOREVER RELEASE GemNastics Academy LLC, their respective officers, directors, shareholders, employees, contractors and volunteers from all liability resulting from damages or injuries incurred as a result of participation including those resulting from acts of negligence. All credit/debit cards will be charge immediately upon registration. You authorize monthly charges to your debit/credit card for as long as your child is enrolled in class. Monthly tuition is due on the 25th of each month and will be automatically charged unless you give written notice before the 20th of the month preceding. You may unenroll at any time. If tuition is not paid by the 1st of the month, the student will not be allowed to participate. MEDICAL EMERGENCIES: In the event of an accident or emergency I hereby authorize my child(ren) to be transported to a hospital for medical treatment and I hold GemNastics Academy LLC, and their representatives harmless in the execution of such. Additionally, I hereby agree to individually provide for all medical expenses which may be incurred by me or my child(ren) as result of any injury sustained while participating at or for GemNastics Academy LLC.